Prev Tree Sun-Catcher Craft for Tu B’Shvat Next Mardi Gras Mini King Cakes with Tiny Mask Toppers! Valentine’s Day is around the corner. 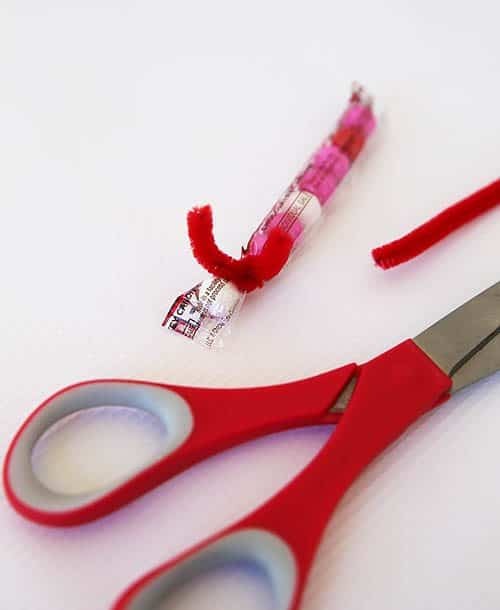 Be sure to let friends know they have wormed their way into your heart with this cute little printable worm valentine. A little candy worm makes it extra special. These cute Valentines are perfect for a classroom of kids. Cut about a 3 inch piece of chenille stem. 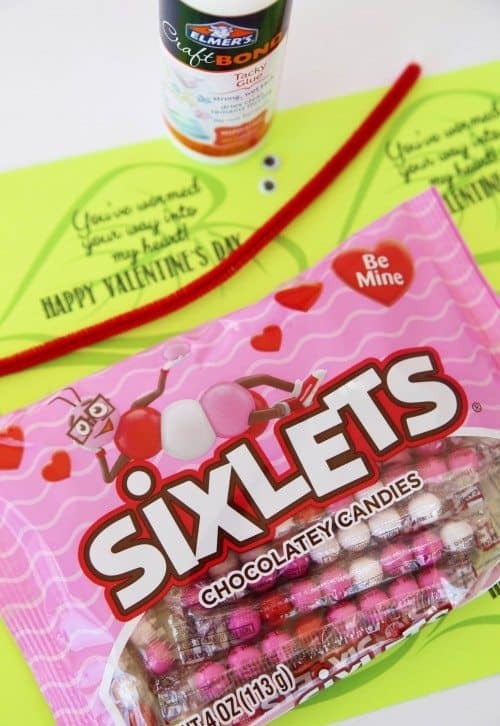 Twist it around the package of Sixlets after the first sixlet. Glue googly eyes at the front of the package. Allow to dry. 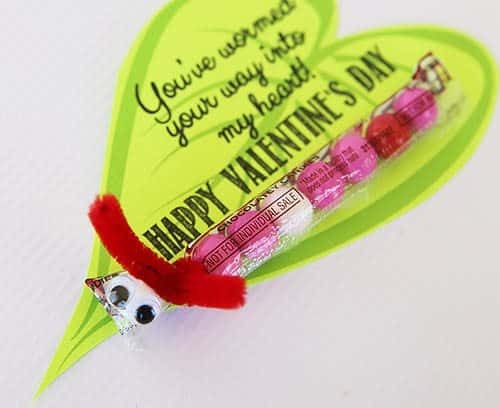 Download the free worm Valentine printable card. Print on green cardstock. Cut out. 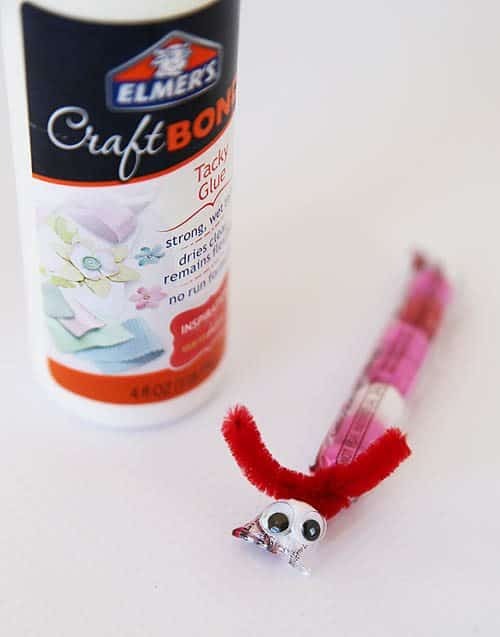 Glue the candy worm to the leaf.